When using a conventional stereo microscope, users inevitably move their head away from the microscope to retrieve information. This increases the risk of losing focus and becoming fatigued during, for example, microsurgeries. 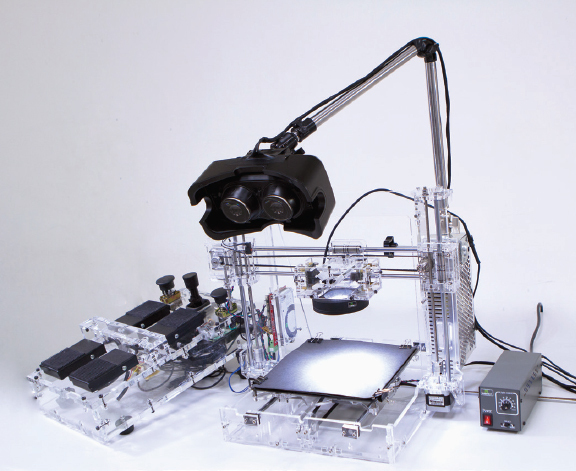 Scope+, a stereoscopic video see-through augmented reality microscope, was created to solve these problems and to improve users' microscopic stereo vision. With a specially designed interactive guidance system, Scope+ provides an intuitive user experience with no special training process needed before using it.